The Men’s Urban Farmer Slide is the essential slip-on for backyards and sidewalks alike. 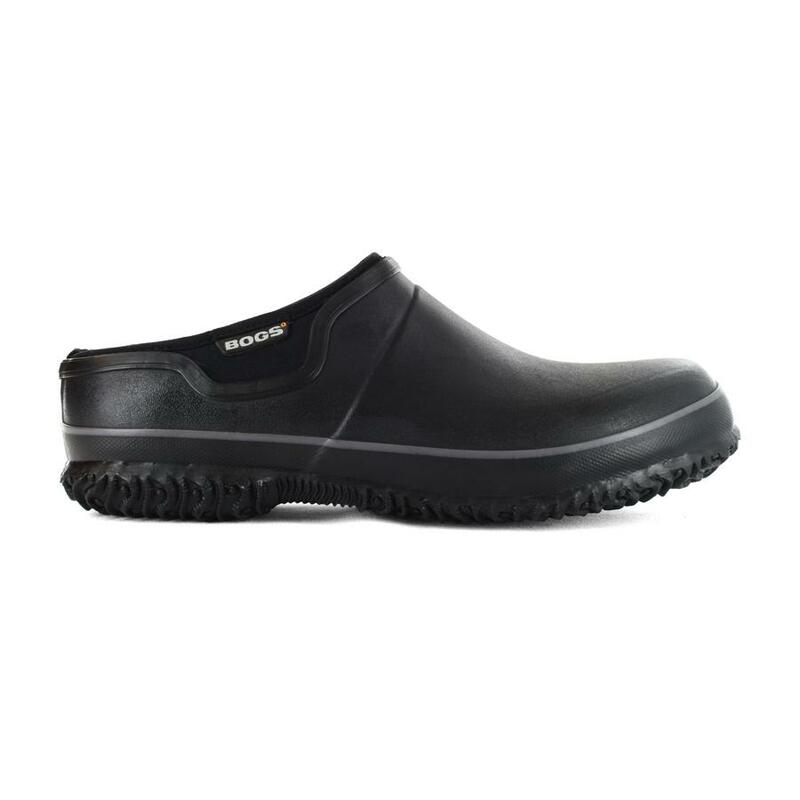 This 100% waterproof, lightweight slide is constructed with 4mm Bogs Neo-Tech™ insulation and lined with EverDry and Bogs Max-Wick™ technology to absorb and evaporate sweat for all-day comfort. An internal rigid steel shank shields against shovels and DuraFresh bio-technology activates to fight unwanted odors. Seamless construction and a dual-density, contoured EVA insole sweetens the deal. 100% satisfaction guaranteed.